The story of my love of Jaguar cars is a very personal one. It all began when, as a young boy of about 6 or 7 years of age, I first saw a Jaguar E-type in little old East London, South Africa. The city of East London is a quiet and peaceful seaside city on the south east coast of the continent, probably best known for having the largest river port in SA, from where maize is exported around the world. It is also well known for being the home of the first coelacanth fish exhibit, a species thought to have been extinct, that is until Prof. J.L.B. Smith persuaded the government to fund his recovery expedition for one that had been caught alive in the Indian Ocean, near the Seychelles islands. It now resides in the main entrance hall of the East London Museum, but that’s a story for another day. 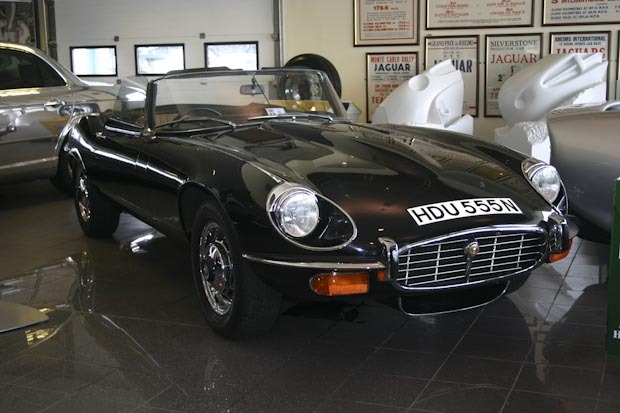 Exotic sports cars were not very plentiful in SA in the 1950s and 1960s, as they attracted 110% import duty, but somehow Jaguar got around this because they had a large assembly plant in South Africa. I explained this situation in a bit more detail in my blog on my first book, Porsche: The Carrera Dynasty. Some manufacturers took advantage of a government credit-for-export campaign, which allowed the importation of CKD (Completely Knocked Down) kits, which were then assembled in SA using local skills and manpower. 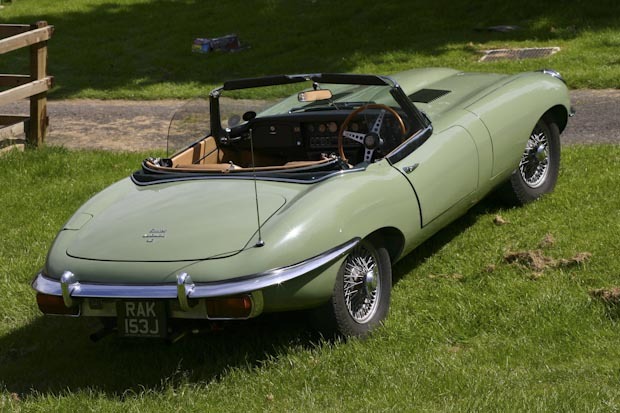 Jaguar managed to build up enough credit to import a number of E-types, but all of that was way too complex at the time for the mind of a 6- or 7-year old boy. I just remember seeing this car, which at the time was in my mind the sleekest, most wonderfully fast looking car I had ever seen, and I was smitten…from that moment on, Jaguar was my car! This feeling was further cemented in my young brain when my uncle from Durban would visit us in his Jaguar Mk II, a fantastically fast 3.8-litre saloon. These were the days before enforced seat-belt use, and when we would go out in my uncle’s Mk II, I was placed in the front centre, between my dad and my uncle, who was driving. There could not be a more engrossing place for a young boy to sit, as my eyes were level with all those dials, buttons and switches so beautifully set in the walnut dash. I would spend the afternoon twiddling the air vent knobs, pushing buttons and flicking switches, while my father would spend his time trying to keep my hands away from this source of fascination. My actions resulted in the air inlet flap in front of the windscreen constantly flapping open and closed, leaving other motorists rather bemused, wondering what was going on with the driver of the the Jaguar alongside them…my uncle would just smile at them. Those memories are etched in my mind like it was yesterday. Fast-forward about a dozen years, and I was home from my national service stint, and a friend of mine arranged for me to have a ride in an E-type belonging to a mate of his. This chap was a good deal older than me and married, but it didn’t stop him from whistling at a couple of gorgeous young girls who promptly returned the compliment, but I was more engrossed in the dash layout and the sound of the straight-six engine. As he floored the fast pedal, the bonnet lifted up noticeably and I was hooked. The E-type was a car that I had to have! Five years of study followed at university, where I was the only student on campus with not one Jaguar, but two! 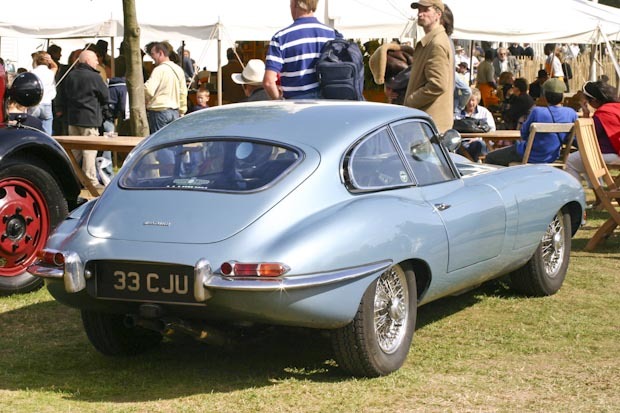 Unfortunately neither of them was an E-type, but I will elaborate on that in another blog…there’s a story there too. 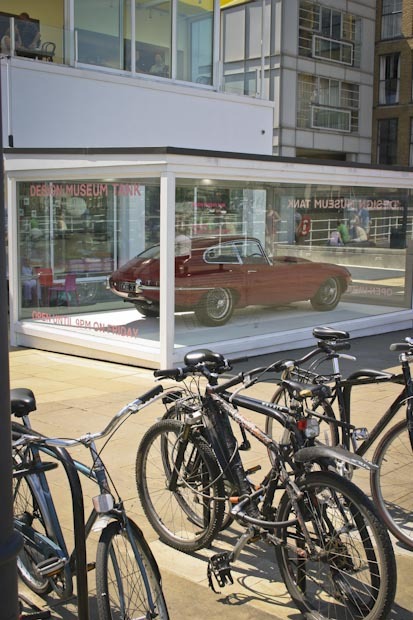 As it happened, I nearly did buy an E-type while at university because the prices were quite reasonable and had not yet taken off as they did towards the end of the 1980s. The 1980s though was an exiting decade for other reasons, as I got married and our two children were born during that decade too. 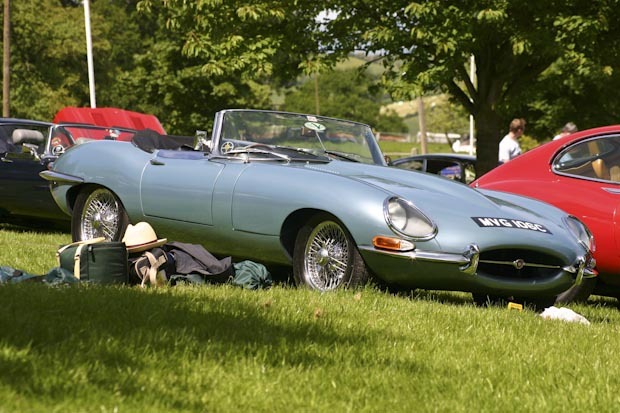 We moved to England at the end of the 1990s and to cut a long story short, after my first book was published by Haynes, I suggested doing a book on the design of the E-type, an idea they jumped at, which was great for me. I got to meet so many interesting people and made several trips to the London Design Museum where the E-type was being celebrated as a British design success. I interviewed CEO Bob Dover and Jim Randle as well as engineers Geoff Turner, Brian Martin and Tom Jones, designers Ian Callum, Julian Thomson and Keith Helfet, and marketing manager John Maries. And of course, no Jaguar book would be complete without chatting to Norman Dewis, a man whose work was so closely tied to the development of the E-type. This was the first book to be published that covered the design of the E-type Jaguar in detail, a car whose development cues are still in use in vehicle design today, such was the depth of research carried out by the factory. 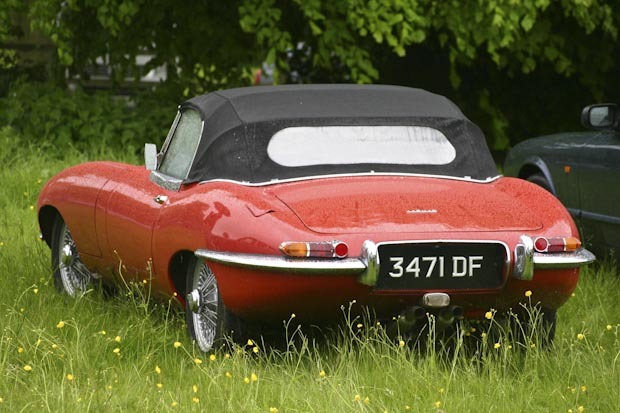 The E-type was way ahead of many other more expensive models on the market, and as such was a game-changer. I still don’t have an E-type, but I have done the next best thing, which is to research and write about it in great detail. When it was published in 2007, I was fortunate enough to receive the Laurin and Klement ‘Design Writer of the Year’ award for this book, and to date this is still the only book published on the design of the Jaguar E-type. The full and fascinating story can be found in the pages of: Jaguar E-type – Portrait of a Design Icon, with Foreword by Stephen Bayley. It is available from our VMPMotoringBooks shop on Ebay, and for a quick look at some sample pages just click on the photo below… Enjoy! This was my first book by Glen Smale and comes on top of thorough research and empassioned story-telling in my motoring library of over 500 books. A textbook for every prospect author on automotive design subjects.